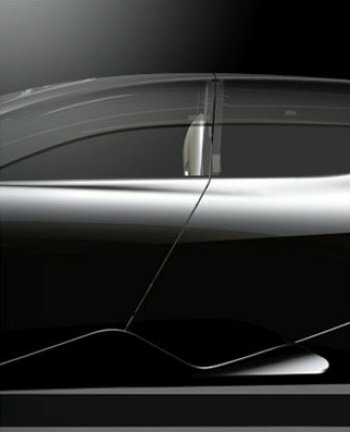 Pininfarina has released more teaser shots of its Geneva bound Sintesi concept car, this time as the design and engineering concern explains the aerodynamic and styling principles behind the design. In the build up to the 78th Geneva International motor show, where it will present Sintesi to the media on 4th March, Pininfarina has slowly been releasing information about its latest automotive project, which it deems to be a ground-breaking concept car, previously illustrating with its innovative method of construction, design, on-board communication systems and alternative powertrains. In its latest information release, which as usual comes in the form of a 'magazine', Pininfarina emphasises its rich tradition of designing sporty four door cars and how this influence has helped to shape the Sintesi project, "we are used to looking at shapes from the past, not so as to repeat them but simply to reaffirm the spirit that has characterised the most successful expressions of our design. The 'coda tronca' the best solution for cutting off airflow." Pininfarina illustrates this point with three images of past concept projects: the Citroën BL, Peugeot Nautilus and Ferrari 'Pinin'. 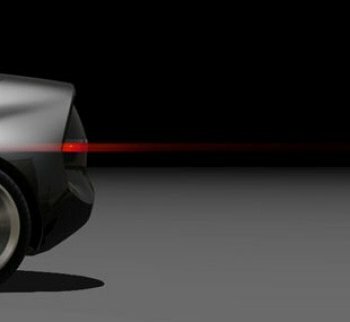 Meanwhile an attached image clearly reveals that the Sintesi will feature recognisable 'coda tronca' treatment to the rear end with a large glass window section prominent and a distinct protrusion of the rear bumper area. 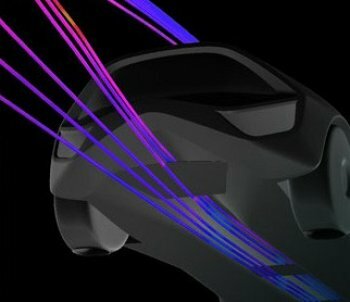 "Everything in Sintesi has been designed to minimise drag and make aerodynamic performance as efficient as possible," explains Pininfarina, adding that: "Pininfarina line is the result of the work of the Pininfarina design team, a group of people concentrated on the adherence to Pininfarina style which is based on constant innovation, elegance and essentially targeting beauty. 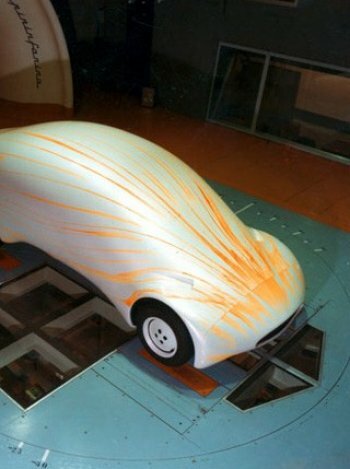 An accumulation of elements that helps to create the motion of Pininfarina products."